By Max D'Amato | May 1, 2018. Niamh Keane is a promising young singer-songwriter and instrumentalist hailing from Dublin. She is a frequent performer around the Dublin music scene playing venues including Whelans, the Workmans Club, and The Underground. Most recently she has seen support for the Irish Band Kíla. She’s currently working on her new EP and gearing up for her performance The Underground Venue on April 29th. Now a graduate of Music from Maynooth University, she has a diverse musical arsenal, combining piano, guitar and fiddle with stunning vocals. Rhythmic instrumentals on guitar or piano pace themselves against hypnotic choruses. But the storytelling is especially compelling on Niamh’s songs. For this, she draws from her own thoughts and experiences, as well as stories told to her by others. “Lake Michigan” comes from her time spent living by the great lake in the northern U.S. To write “Lonely Sea” she thought about a pirate lost at sea. She said “I was watching Pirates of the Caribbean and I was just in this mood of Pirates and Sea Shanties.” She then said: “It just depends on what I’ve been reading, what I’ve been watching, what I’ve been listening to, as well as interactions with friends and family.” In Niamh’s live performances she also interprets songs from by artists who inspire her, such as Joni Mitchell and Irish artists like Lisa Hannigan, whose work Niamh credits as motivation her own lyrics. 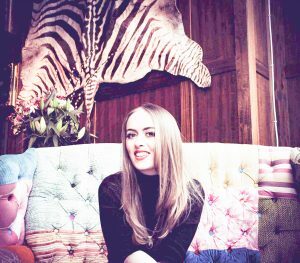 With an array of songs, from whimsical to upbeat melodies, inspired by stories both true and fictitious, Niamh Keane is bringing her own unique flavour to the music scene in Dublin right now. You can check out Niamh’s Youtube page on www.Youtube.com/NiamhKeaneMusic and look out for her newest song titled, ‘You Don’t Have A Clue’.